Was that a collective sigh of relief I just heard? Yes, spring is here. We all knew it would happen sometime before October, but a week ago we cancelled schools and today its 65 and sunny. Minnesota at its finest. I have seen all over social media from the weekend family, friends, and our Cryo people getting outside and enjoying it. Whether it was kayaking on a recently thawed river (Paige), Golfing on any available grass that just poked through, or shooting hoops & playing tennis on an outdoor court we all needed it and it felt AMAZING. Now we love all of these activities at Halo and are right there with you as we all enjoy the most active months of our Minnesota calendar year, but we also know that some of us push our bodies pretty hard. Oftentimes many of these games create repetitious task inflammation such as tennis elbow or golfer’s elbow, or we start to experience stiffness in our lower backs from our golf swing or too many runs on the kayak. We run an extra day this week and don’t take that recovery day because we feel like if we don’t run today its going to snow tomorrow. I get it. Its the old adage of “Strike while the iron is hot.” I got a pretty impressive sunburn and stiff back playing baseball and biking all weekend, so I’m guilty of it myself. So with that being said and acknowledged, what do we do about it as our bodies tell us it might be too much? We help it RECOVER! We use the best tools at our disposal to reduce inflammation and increase blood flow. CRYOTHERAPY! Whether we target acute areas of inflammation and pain with Localized cryotherapy, or address full body systemic inflammation and muscle soreness with the whole body cryotherapy we are able to help keep spring and summer active and enjoyable. We all feel better when active and pain free. Lets talk about a few examples of what we have seen over the past 4+ years as cryotherapy has grown in popularity and awareness. Below I will list some of the injuries and issues I have treated over that time and my recommended cryotherapy course of action. 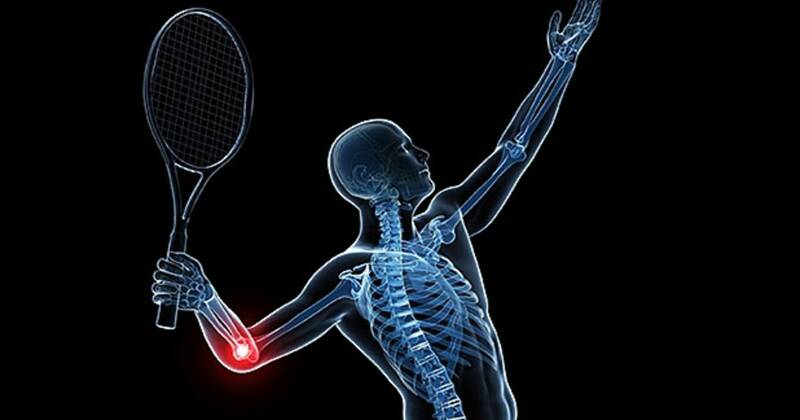 Tennis Elbow- Inflammation/strain/tear of the tendons attached to the lateral epicondyle of the humerus bone of the arm. I have seen this in many athletes, not just limited to tennis players. Could occur from any strain to those tendons, as I have seen it from pushups, golf, and more. Treatment recommended– Localized cryotherapy 2/3 times per week for 3 weeks to target inflammation and any swelling. Sprained Ankle- The most repeated injury I have seen, almost everybody has done it to one extent or another. I have treated high ankle sprains that were swollen and discolored from the toes to just below the knee. The severity of the sprain can help to determine how aggressive we are with treating it. Treatment recommended- For severely swollen ankles- Whole body cryotherapy followed by localized cryotherapy 3 times or more per week. Sessions closer together produce quicker results. For an added reduction in swelling add a N0rmatec Compression massage before the Cryotherapy. For minor sprains- 6-8 Localized cryotherapy treatments over about 2 weeks. Lower Back pain– So many people tough through chronic lower back pain and attribute it to just a regular part of life and aging. Whether the pain is from previous spinal surgeries, car accidents, old sports injuries, or an avid golf game we can reduce that pain and help improve the quality of life so that we don’t have to just “struggle through” as so many of us do. Treatment recommended- For long term benefits of the treatments, we recommend 10-12 whole body cryotherapy treatments in the first 30 days, followed by 1 to 2 treatments per week as a long term plan to keep inflammation down and anti-inflammatory proteins up! Most clients with back pain issues use localized cryotherapy as needed with the whole body cryotherapy to treat flare ups. Pre & Post Surgical Protocol– For a large amount of surgical procedures, we have received feedback from Physicians about how our clients who use pre-surgical cryotherapy have very clean and workable surgery sites void of swelling and inflammation which made the procedures go very smoothly. Also, on the post surgery recovery the physicians have been amazed by the rapid reduction in swelling and healing of the incisions. I have seen this in ankle surgeries, hip replacements, and knees, as well as many elective cosmetic procedures. Treatment recommended- Leading up to the procedure we recommend 12-15 whole body treatments for the 30 days prior. Following surgery, for best results we recommend 3-5 sessions per week for the following 30 days. When the incision is still healing, covering any active bleeding is necessary but is still beneficial to be treated. Whole body treatments, as well as localized cryotherapy to emphasize the targeted anti-inflammatory benefits. In this post surgical protocol in particular, the recovery is directly affected by the level of aggressiveness of treatment. 3-5 sessions per week if not daily will drastically expedite the recovery process. This is my favorite part of working in the Cryotherapy industry, seeing the amazement of the client and surgeon when the swelling and recovery are way ahead of schedule! It is so fulfilling to us as Cryotherapy professionals to see success stories with injuries like these. I am never surprised by the results, but it makes us feel good as a team when Doctors, Physical Therapists, and surgeons are! As with anything here at Halo Cryotherapy, please call us with any questions about what we do and how it all works. We love talking about it, and would love to be a part of your recovery story. The recommendations laid out here for treatment are just that, and can always be tweaked to meet your schedule or needs based on your individual injury or situation. Lets work together to reduce your pain, and maximize your sunny summer months. Call us today at 612-425-1715 or visit our website by clicking here to book an appointment today. We are super quick and convenient, with two appointments available every 10 minutes. We are also available for mobile events with our Localized Cryotherapy machine upon request. Reach out to Jack to get more information. See you soon for your next session! Thank you.